Before the month of March ended, my little sister, my boyfriend and I went to Hong Kong for the first time. Of course, we didn't miss Hong Kong Disneyland in our itinerary. But more than the attractions at the famous theme park, one other thing that made me so excited for the trip was the Crystal Lotus Signature Dim Sum I have reserved for our group of three. 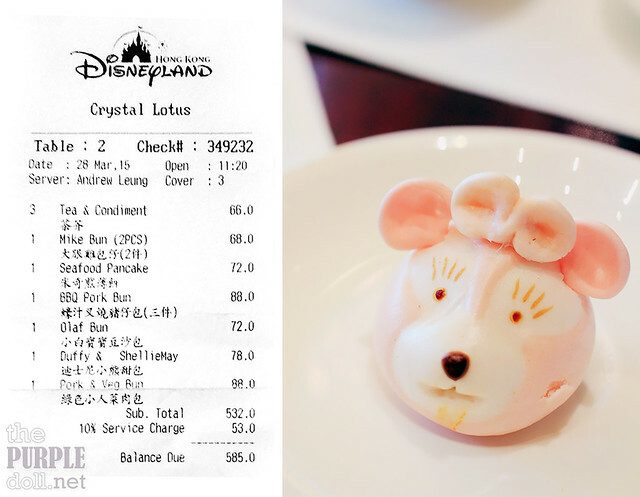 The first time I read about the Disney dim sum was on Leslie's blog. 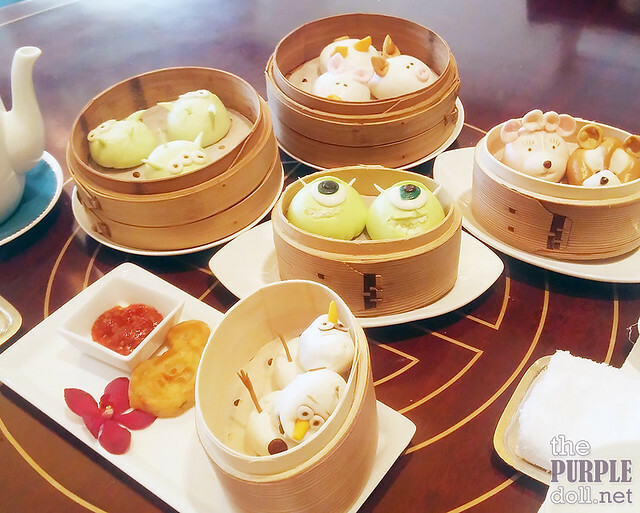 Since then, I've always thought to myself that I won't miss trying this adorable set of dim sum when I visit Hong Kong Disneyland. 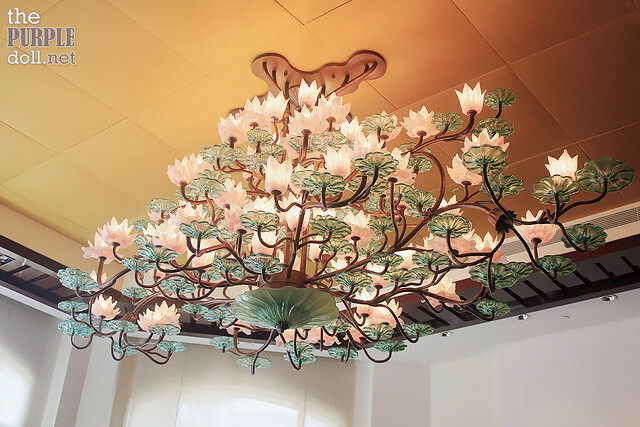 As both a Disney fan and a foodie, a trip to Crystal Lotus was at the top of my list. It ain't called Crystal Lotus for nothing! Thanks to Rochkirstin, I found out a lot earlier that the Crystal Lotus Signature Dim Sum is strictly by reservation only. We didn't avail of the lunch set but ordered their Signature Dim Sum ala carte. However, we still had to place our order at least 2 days in advance. And so, I called up the Hong Kong hotline using my mobile phone, told them our orders, and was reserved for 12:30PM. Reservation is available only for 12PM or 12:30PM slots. 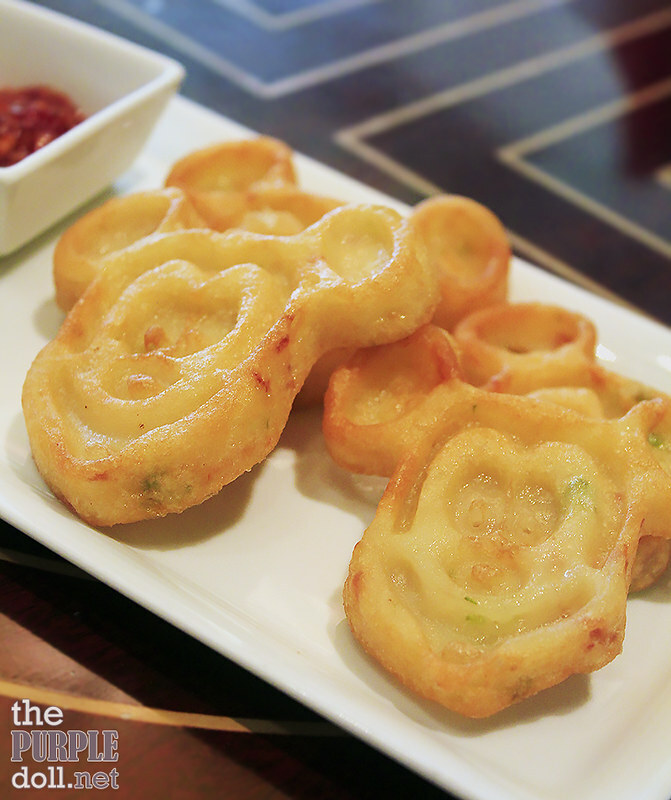 Signature Disney Dim Sum is available only for lunch. For weekend and public holidays, order at least 24 hours in advance. For Mondays through Fridays, order at least 48 hours in advance. We arrived a few minutes earlier than 12:30PM, but was promptly seated by a cast member. We already gave our orders in advance (via phone), so we only ordered hot chrysanthemum tea while waiting for our dim sum. We also browsed through the menu for possible additional orders. But since we were still quite full from the meal we had prior and during the flight, we thought we'd see first if our dim sum orders would already suffice. Then, the waiting game began. I think we already had 3 refills of the pot of chrysanthemum tea before our orders started arriving. And that was about 25 minutes after we got seated! Sigh... I normally wouldn't wait this long, unless earlier advised of the waiting time. No one informed me of this wait, by the way. But oh well, we toughed it out since I wanted to try the Disney dim sum so badly! First on the table was this Mickey-shaped seafood pancake served with hot sauce. I'm not usually big on seafood pancakes, but I really liked this. Crispy on the outside and slightly chewy on the inside. It was already pretty tasty on its own, but I found it even more enjoyable with some hot sauce, which is definitely hotter than what I'm used to. Mike Wazowski from Monsters, Inc. is both my sis and my favorite Disney character, so we were really happy when this basket of buns was served. However, we could only hope that the taste matches the cuteness. The bun itself was a tad dry, and the filling -- apart from lacking in quantity also lacked in flavor. 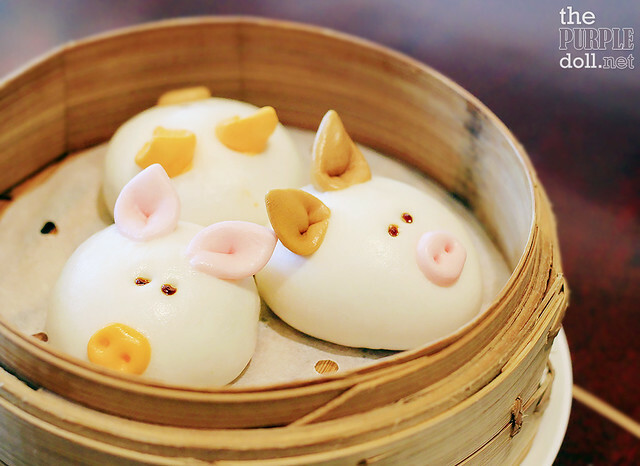 We haven't seen Walt Disney's "The Three Little Pigs" yet, but they were definitely one of the most adorable buns on the Disney dim sum menu. Unlike the Mike bun, the barbecue pork filling within these pigs were tastier. However, there was only so much filling, and these buns also suffered from dryness. 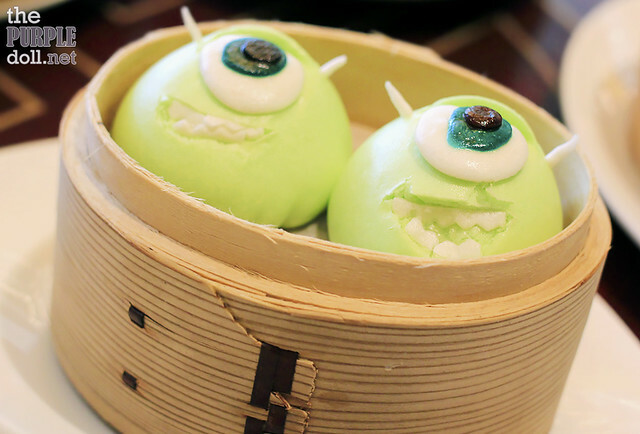 As annoying as they are in Toy Story 1 and 2, these claw crane-worshipping aliens looked super adorable in the dim sum basket that I seriously had a hard time stopping myself from snapping more photos. But just like the other buns, the filling in them was so scarce that I couldn't fully appreciate the flavor -- although this is quite tasty, which is actually a shame. And I think by now it's already a given -- bun itself is dry. Compared to the savory buns, these sweet buns filled with red bean puree seemed a little better. Even with so much filling (or less, rather), we can really taste the sweet, earthy flavors. It looks so nice too to have not just Duffy, but also his girlfriend. 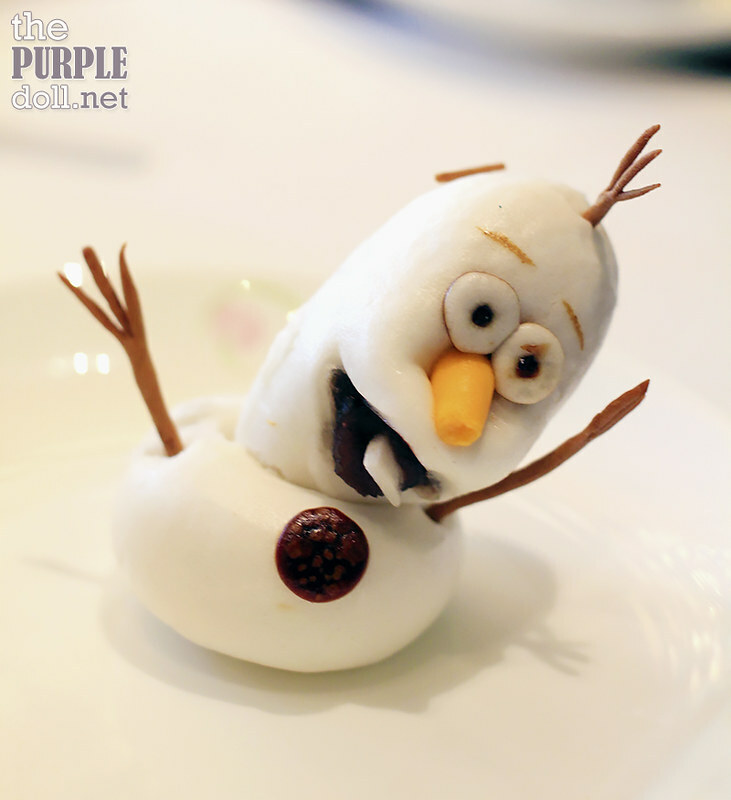 What used to be the Chicken Little lotus seed puree bun was replaced with this famous character from Frozen, which seemed to have a problem standing upright either in the dim sum basket or on the plate. Similar to the Duffy and ShellieMay buns, these too were oozing with red bean paste flavor. Too bad them buns were unenjoyably dry. Hong Kong Disneyland Hotel is a 10-minute bus ride from the entrance (after getting off at the Disneyland Resort Station). To go there, one can ride the Disney Resort Shuttle Bus for free. 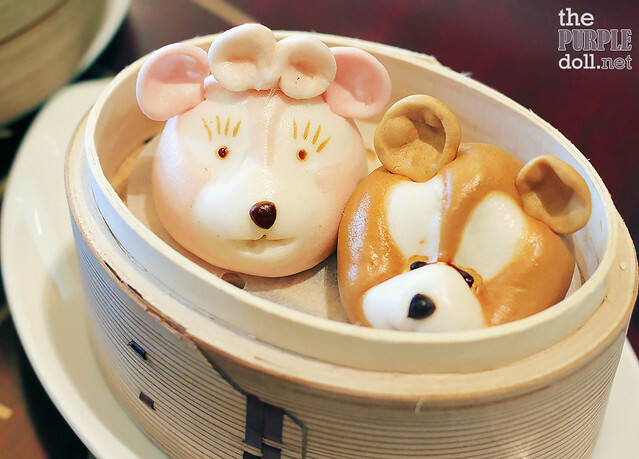 These Disney dim sum are probably the cutest, most adorable little eats I've seen in a while. However, they were also sadly one of the worsts I've had so far. Flavor is actually not too bad, but the scarceness of the filling and the dryness of the buns didn't do these expensive, pretty dim sum justice. And hey, we waited almost 30 minutes for them! Like what Olive said on her review, "If you must go... Order all the cute dim sum, take your pics, and don't go back again." However, while I don't think I'll have the Signature Disney Dim Sum for a second time, I'll definitely consider going back to Crystal Lotus. From reviews I've read online, guests actually rave about the dishes, sans the Disney dim sum, at this Chinese fine dining restaurant. Love how those look, I wouldn't wanna eat them, just to not ruin the cuteness! Haha! I've been to HK twice, but I've never heard of that til now. I would've have loved to have this next time if it had amazing quality or something, considering the effort to order that plus the waiting time. Hope they improve on it because those look so adorable especially The Three Little Pigs!! I love dimsum especially ordinary siomai but this in Hongkong, really a level-up ways to make and serve. I don't think I can it this buns since they are so cute and adorable. Great job to their chef. These dimsums are so cute, but I'm sorry to know that you were not satisfied with the taste. We've never been to Hong Kong but we would like to visit them soon. You can order the Disney Dim Sum even if you're not a hotel guest at Disneyland :) Just call them up at least 2 days before your visit, for a reservation. 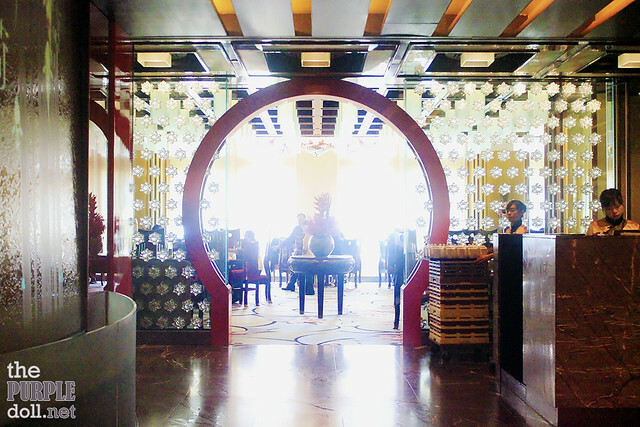 "Signature Disney Dim Sum is available only for lunch. For weekend and public holidays, order at least 24 hours in advance. For Mondays through Fridays, order at least 48 hours in advance." I have been searching online but to no avail. Is Disney Dim Sum Actually available on weekdays too if im a hotel guest staying at Disneyland hotel? I will be staying at the Hollywood Hotel and I have made a lunch reservation via email for a Tuesday. I will be calling to pre-order the a la carte Disney dim sum. For weekdays, you have to pre-order the Disney dim sum at least 48 hours prior. For weekends, it is only 24 hours prior. Disney Dim Sum is available on weekends and public holidays for lunch when you order at least 24 hours in advance. Please order at least 48 hours in advance for Monday through Friday. Hello, I want to ask what is the difference between the a la carte menu and the signature lunch set? 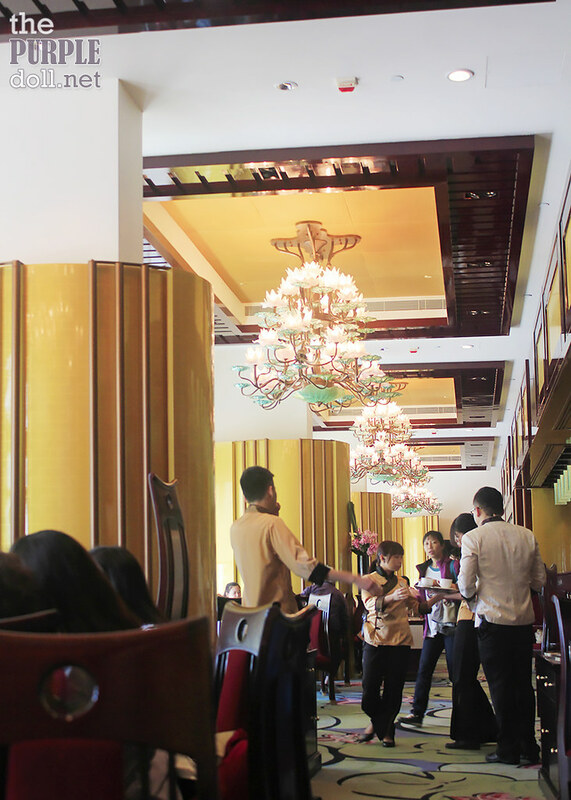 A la carte items are of 2, 3, 4 or 6 items per order of dim sum or regular size dishes. Certain dim sum like the Golden Minnie shrimp dumplings (HKD88/4pcs) and Garoupa/shrimp dumplings (HKD128/2pcs) can only be ordered a la carte.